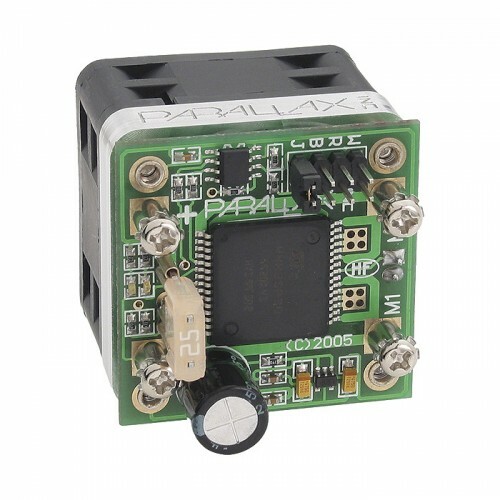 The Motor Controller is our single best solution for DC motor control. This module is dependable and highly-compatible with any microcontroller that can generate a servo compatible pulse. In the simplest sense this allows a DC Motor to be controlled much like a Continuous Rotation Servo. While the signals are compatible, this does not require refreshing as a servo does; a single pulse can maintain the output. 3.5RPM 12V DC geared motors for robotics applications. Very easy to use and available in standard si..
30 RPM 12V DC geared motors for robotics applications. Very easy to use and available in standard si..